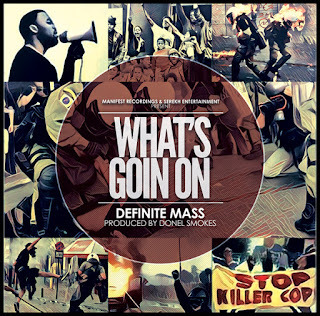 Definite Mass, the Los Angeles based MC, showcases an undeniable hip hop sound. What separates Definite Mass from other MCs? In short: topic selection. Definite addresses topics that need to be discussed. Over the last couple years, Definite has built up his incredible skills. He puts on monthly showcases at Que Sera in Long Beach, CA for upcoming artists, and assists local schools with developing music programs. As a hip hop artist Definite has produced for several indie artists as well as recording his own albums. Previous features include songs with Blu, Ras Kass, Planet Asia, Aloe Blacc, KRS One, Nottz, and others. 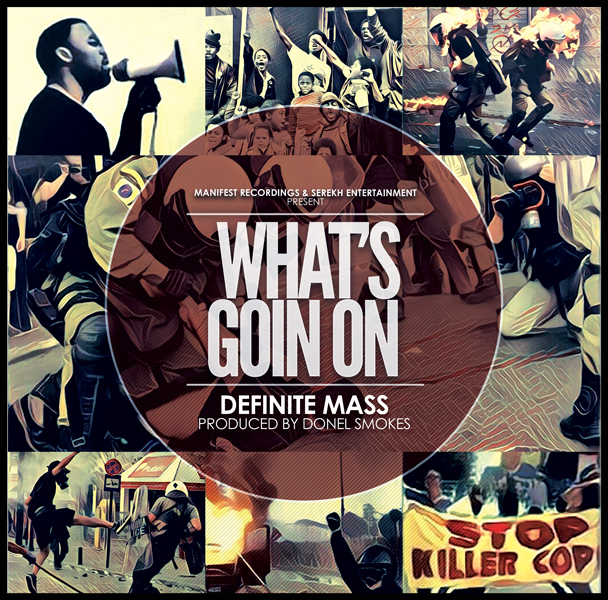 Now looking to showcase his own talents, Definite’s latest offering is “What’s Goin’ On” from his Soul Caliber album. Produced by Donel Smokes, Definite shares observations and thoughts, like whether he has to be signed to have fans.